your project a shining success. Why choose Land Grant Surveyors in Pennsylvania? Customers tell us that we are the best land surveyors in PA…. An award-winning surveyor, Land Grant Surveyors,, LLC, (LGS) serves clients located throughout Central Pennsylvania, Delaware, New Jersey and Maryland. Clients choose Land Grant Surveyors (LGS) because our professional surveyors provide a wide range of high quality, custom, state-of-the-art surveying services for commercial, industrial, institutional and residential projects, certifications and evaluations. We provide surveying services with a vision of providing high quality, responsive customer service and keen attention to clients’ budgets and timelines. Founded in 2008, Land Grant Surveyors LLC (LGS) delivers 75 years combined experience serving architects, construction firms, developers, land owners and homeowners, in both residential and commercial projects. At LGS, we stand behind the quality and accuracy of all of our work, so whether you need us to determine your property boundary or you need us to stake out a large construction project, we will meet your schedule…and your budget with precision, integrity and the highest industry standards. Surveying. Mapping. ALTA Surveys. Construction Stakeouts. Services that provide the accuracy you need. When you need ALTA / NSPS Land Title Surveys, LGS can help provide surveys that ensure your insurance or real estate transaction will proceed smoothly. Our experienced, trusted professionals will provide the reports you want with the high standards you need. LGS works hand in hand with engineers, providing accurate base maps for their projects so that they can concentrate on getting their job done with excellence. LGS, Engineering Surveys you can trust. 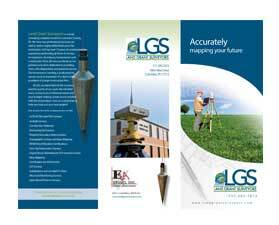 Before you dig, let LGS take the measurements you need to get your project right the first time. Specializing in all types of construction stakeout, we’ll work behind the scenes and make you look great to your clients. Are you ready for the new federal flood law? If you are a home or business owner, lender, municipality, mortgage company or real estate agent, you NEED to know about getting updated FLOOD ELEVATION CERTIFICATES. Do you need a Flood Elevation Certificate? Ask us for a FREE Estimate for your Flood Certification. to become heroes for their customers. The last thing a new mortgage or refinancing customer needs is additional fees. We help professionals like you add value to your services, providing the flood surveys and documentation your customers need, reducing their stress and removing exorbitant fees for obtaining Flood Elevation Certificates for residential and commercial properties. Land Grant Surveyors offers customers a Flood Evaluation Certificate and Letter of Map Amendment (LOMA) in compliance with the Federal Emergency Management Agency (FEMA) requirements to reduce the risk of flooding. Learn more about Land Grant Surveyors’ projects.